Patricia Ann Boyd, 74, of Chattanooga, passed away on Thursday, May 24, 2018. Pat was born in Roanoke, Al., on June 18, 1943, to the late Dorsey and Myrtle (Nixon) Hester. She was a loving wife, mom, and homemaker. 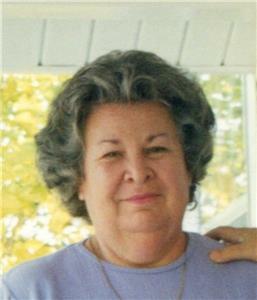 Pat was a long time member of Mountain Creek Church of Christ. She was preceded in death by her husband, J. Kenneth Boyd. Survivors include her son, Steven Boyd (Stacie); daughter, Deborah Carver (Shawn); and granddaughter, Molly Boyd. The family will receive friends on Saturday, May 26, from 2-4 p.m. at Chattanooga Funeral Home North Chapel, Hixson. The funeral service will be on Sunday, May 27, at 3 p.m. in the funeral home chapel with interment to follow in Hamilton Memorial Gardens.